STEPiNN – Ess Kay Ess Villa Dlf Phase 1 is primly located at DLF Phase-1, Gurgaon. A Guest house with well-appointed 22 Rooms outfitted with most modern amenities. Enjoy the amazing welcome drink on arrival along with free wi-fi and breakfast. Ess Kay Ess Villa Dlf Phase 1 offers dedicated services with the help of its well-trained and courteous staff. The guest house is in close proximity of domestic and International Airports of Delhi. 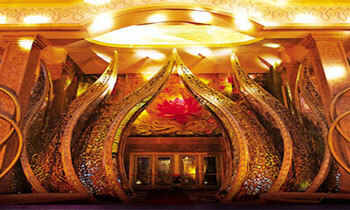 Enjoy the swanky tourist spots such as Kingdom of Dreams and Oyster Water Park. Give yourself shopping therapy at some of the vibrant markets and malls – MGF Mall, Dt Mega Mall, Sahara mall, Galleria Market and Vyapar Kendra. The nearest metro station is Sikandarpur and one can also use cabs or auto rickshaws for their local commute to explore the city further. The guest house has spacious and comfortable rooms that are well equipped with work table, intercom and a luggage shelf for your belongings. Besides, these is provisions for laundry service, fire safety, first aid, wake-up call on request and public space CCTV. There is a round the clock helpdesk is at your disposal to assist you with tour assistance. Kingdom of Dreams (KOD) is India’s first place that brings live entertainment shows with the tint of Bollywood. KOD is one of its kind amongst the most incredible tourism destination in India. The place presents a taste of contemporary ambiance blended with technological advancement. 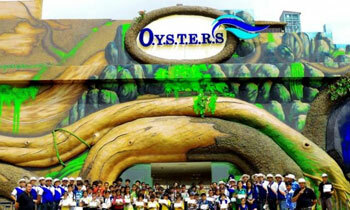 The Oysters Water Park under the flagship brand of Appu Ghar is one of most incredible amusement park in the Millennium city, the park has wide variety of thrilling and fastest rides, a mall and a food park. 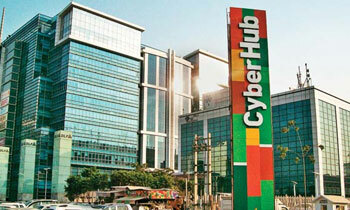 The park is adjacent to HUDA City Centre Metro station, Sector 29 (Entry from Gate number 1).